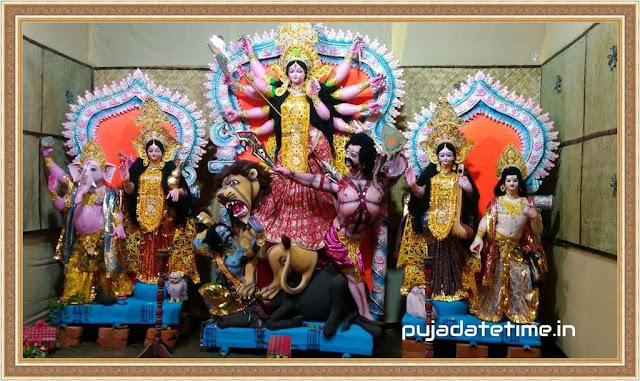 Durga Puja ( দুর্গা পূজা ) is the one of the most famous and festival celebrated in Bengali Hindu religions ( West Bengal, Bangladesh and particularly in Kolkata), in honor of Goddess Durga during the period of Navaratri. 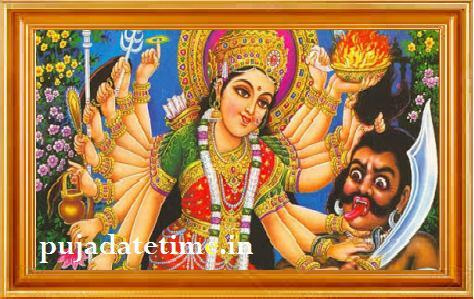 Durga Puja is also known as Durgotsava (দুর্গা উৎসব), Saratutsabh (শারদ উৎসব). It is celebrated for 10 days, however starting from the sixth day till the ninth day (Shashthi, Maha Saptami, Maha Ashtami, Maha Navami and Vijayadashami), the Pandals with grand idols of Goddess Durga are open for visitors.